Rediscover your favourite childhood flavours thanks to our selection of bonbons, sugar-coated nuts, nougat, caramel and lollipops made the traditional way with unparalleled skill. Most of our confectionary range is made in France. 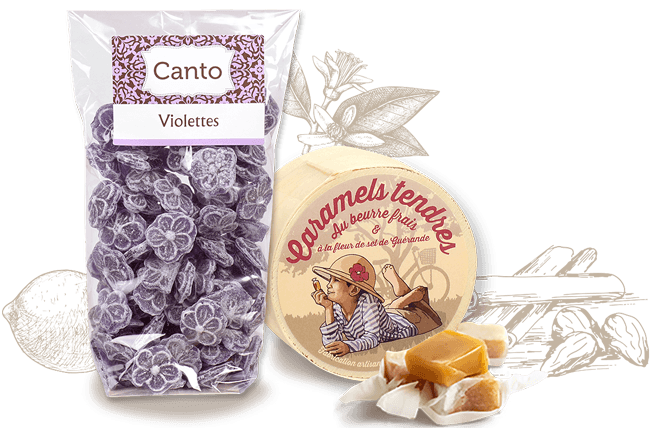 From Montélimar nougat to Breton caramels and Flavigny aniseed, each region of France has its own delicious sweet secret.